Being a technology startup company our self, we love Startups for their passion and drive towards building innovative products to solve real world problems. 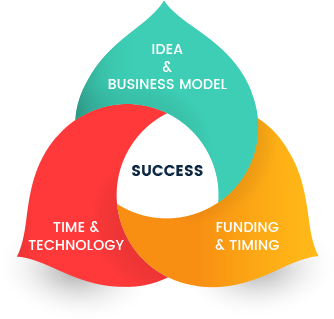 We work with startups and helping to transform an idea into a successful product. With our unique agile delivery approach, tech talent and product development experience, we have successfully build and implemented more than 30 products for startups! Stumbled upon a great idea? We help you define and devise a plan to get MVP out the market in 6-12 weeks. The focus is not just MVP but finding a way to achieve scalability and framing everything in the context for the long haul. The ultimate goal is to build right thing that solvesprimary problem and identify product market fit as early as possible by wisely investing time and money. Whatever Phase You’re in, We Can Help You! Our team of varied skill set experts work exclusively on your product closely with other stakeholders to build solutions with a quick turnaround time teamed with an Agile approach. We apply lean principles to product development for startups. Our focus is on feature evaluation, lean product roll-out, quick iterations and continuous improvement. Our work culture encompasses agile, lean & collaborative projects resulting in effective product scoping, faster delivery & quick to market. New features are released constantly. Our processes are geared up for continuousintegration and delivery ensuringspeedy releases.